Both parrots unmistakably have the ability to learn "tricks." Although the grey is far superior in the sense of intellect, I believe the macaw is easier to train. 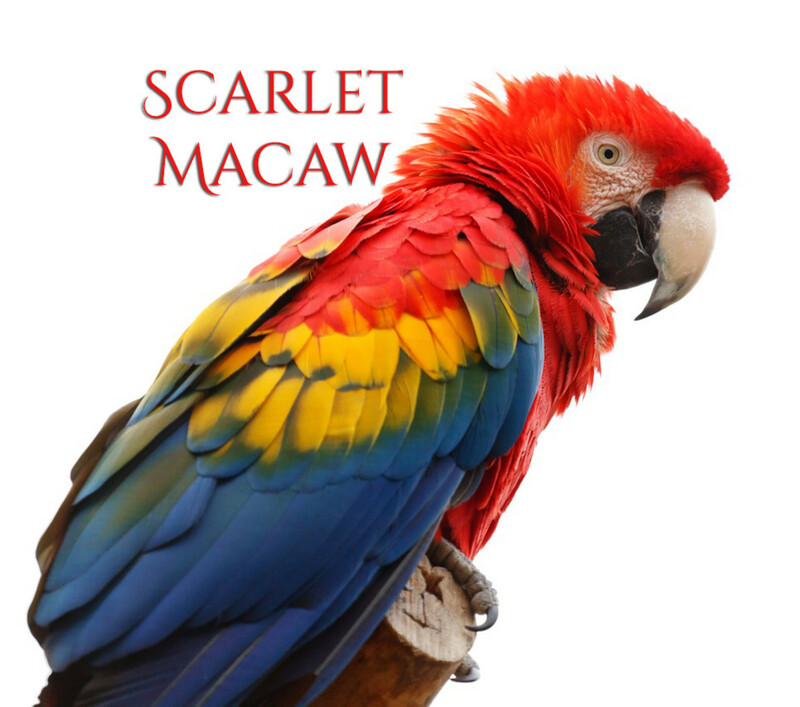 The lower attention span of the macaw invites the trainer to short 15-minute sessions. 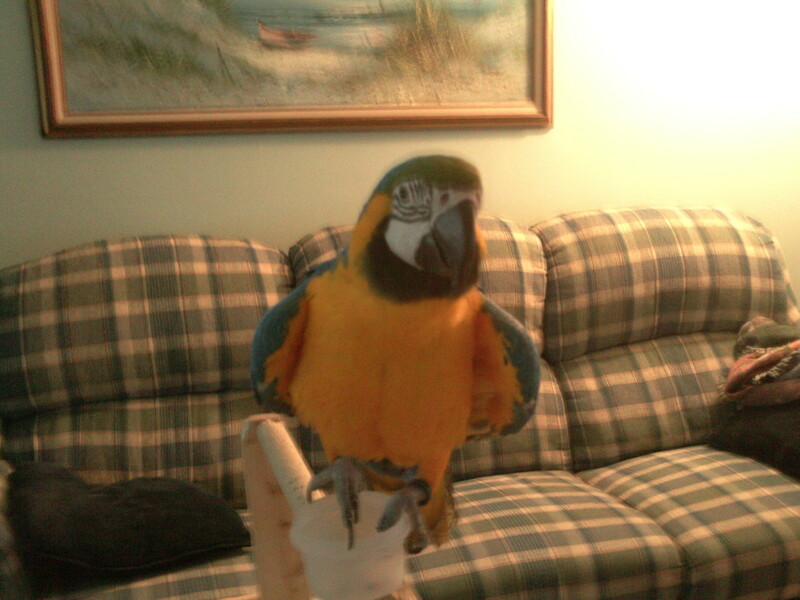 When training my macaw, Gracie, sessions were short and enjoyable. The Grey's sessions used to be (my brother took my grey Bubba when he moved out) around 30 minutes, even up to 45! 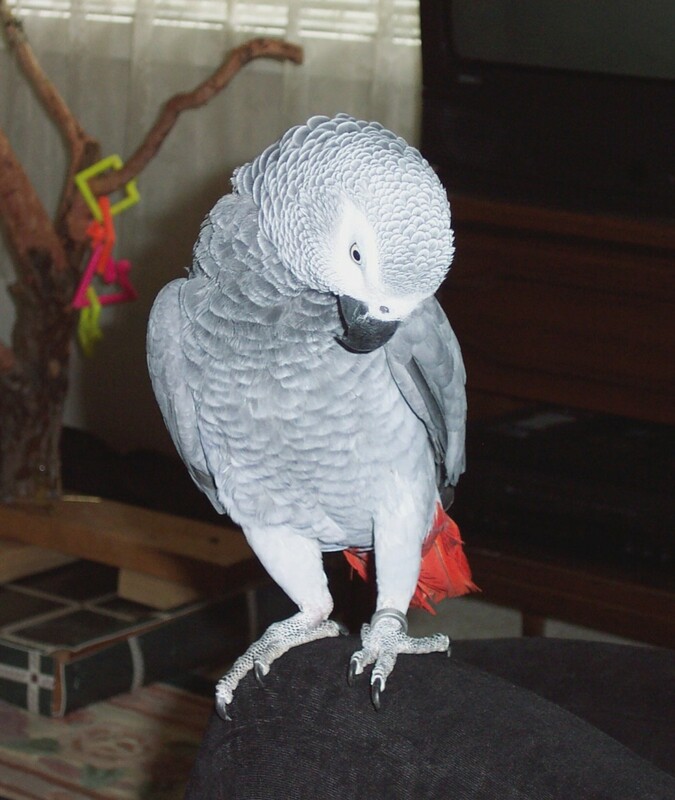 Sure the African Grey learns quicker, but a busy fella like me would rather spend his precious time devoted to his parrot playing with the bird, not extensive training. I am a new writer on this website, but will post some pictures and videos of my training sessions. 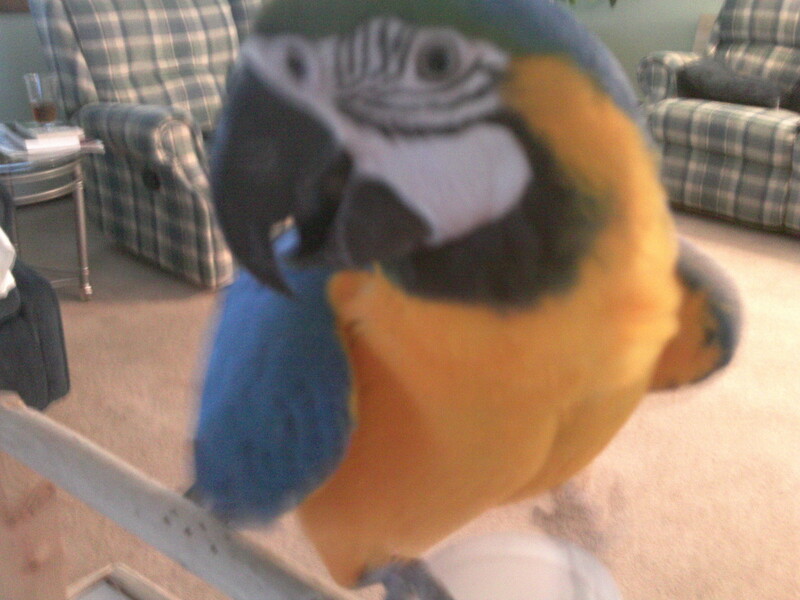 Anyone who has seen a macaw or an African grey knows the macaw is the energizer bunny compared to the grey. My blue and gold is about two years old and hasn't stopped moving since she was born. her cage is tremendous (40x32x67) but still too small! She is constantly hanging, flapping, rolling, bobbing, and flipping around, never in the same spot for more than a second. She doesn't stop until 9pm, when suddenly all movement ceases and she is out like a light in her top perch, in which a nuclear bomb wouldn't disturb her peace! Bubba, my grey, usually tends to be laid back, serene, and quite chatty. At times he will have his energy bursts, but is usually contempt with the gentle rock of his swing, watching the world go by outside, talking in full sentences as if someone was listening. 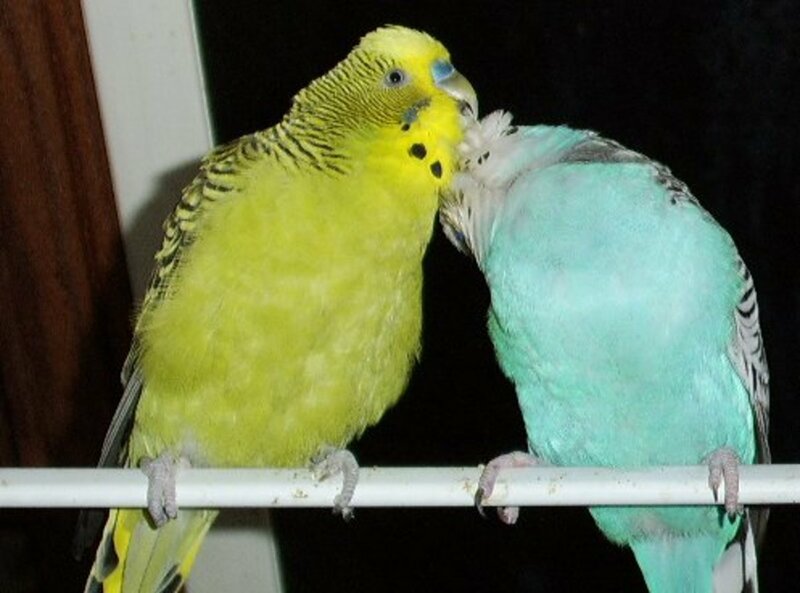 I don't clip either of these parrots' wings, and during the spring and summer we enjoy the great outdoors in our aviary that I built. The moment I let them free in the confined area, they both shoot like rockets, grateful for the exercise. After five minutes, Bubba is done and loiters on his branch from a tree I planted. I have to literally catch Gracie in order to stop her from flying around the aviary. I prefer the high energy bird. It is indeed more enjoyable. This category is strongly dedicated to the African grey. No other parrot I have ever encountered has such an ability to learn words, signs, movements, and conversation as this bird. In less than three years, Bubba has learned sentences at a time. He is even smart enough to copy the door-bell sound and the microwave alarm. The theory is that the bird must be saying "upon hearing the sound, the human runs to the sound. So if I make the same sound, maybe the human will run to me!" Don't get me wrong, macaws are smart as well. In my two years with Gracie, she has picked up around twenty phrases/words, totaling up to around thirty or so words! Grey's also have the ability to whistle, and Bubba shows off profusely during the day. Whenever I try to teach Gracie to whistle she becomes frustrated and screams. There isn't a more beautiful sight than looking at all the different breeds of macaws. Although the African grey has shades of grey, with a red tail and such, it does not compare to the vibrancy of the macaw. Scarlet, Greenwing, Hynacinth, Buffon's, Military, you name it (I don't normally suggest buying hybrids). A fully stretched out, in-flight macaw is a gift from nature. This can either be a pro or a con, really depending on the owner. Macaws are very destructive parrots, destroying toys fairly easily, and, if left unsupervised,will rip up your furniture! Gracie shreds through chunks of 2x4 I buy at the pet store as efficiently as an axe would. 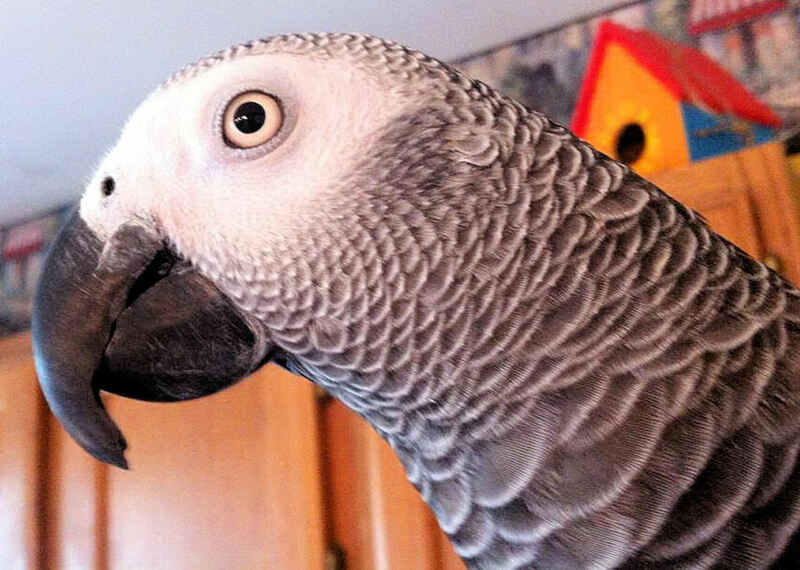 African greys do have a nice size beak, but aren't nearly as destructive. 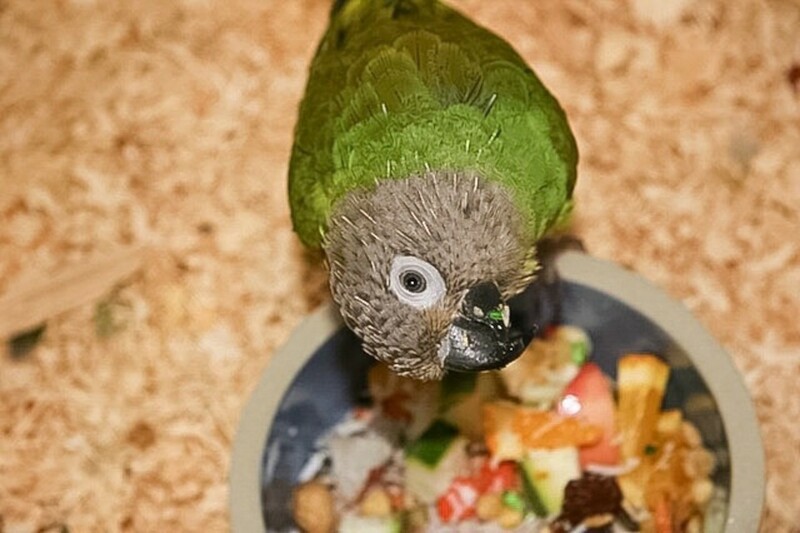 You won't have to replenish toys as often, and therefore can save a few bucks (this still means each type of parrot needs plenty of toys to keep them busy and prevent feather plucking). I found African greys have the ability to entertain themselves by whistling, lounging, or looking outside. Sometimes if I won't be home for a few hours I would turn on the radio and prop in in front of Bubba, and that will satisfy him. A bored macaw is a dangerous macaw. Its so sad to see these birds, or any bird really, with plucked feathers. In short, plenty of wood and leather toys with a close eye out of the cage can minimize any birds destructive habits. 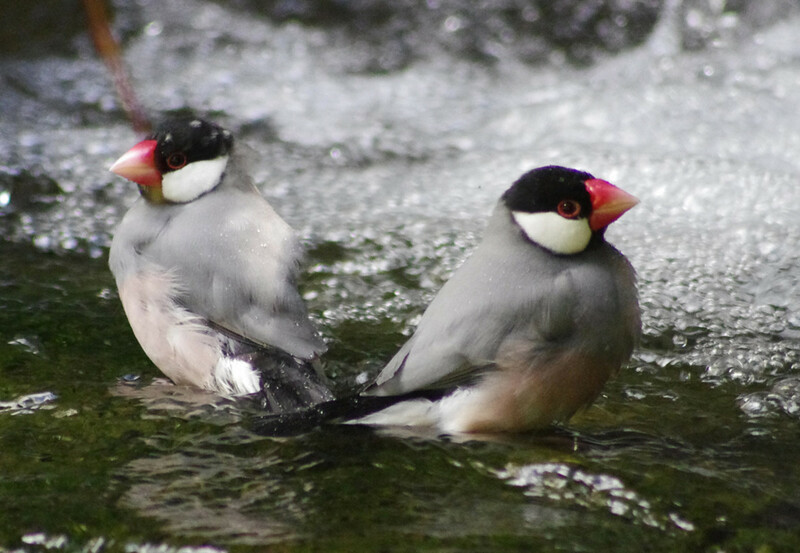 Most people don't fully comprehend why birds in general are such loud animals. First of all, birds are able to scream consistently for hours on end because they do not have windpipes. This means a bird will never be able to lose his or her "voice." As long as there is oxygen to breathe in, there is plenty of yelling to be done! They are so loud because they compete with any other noise to be the loudest. In the wild, the loudest, most beautiful songs attract the female mate. Any parrot owner who has put on the vacuum, blasted the radio, or something of the like knows just how competitive these parrots are. Macaws are significantly louder than greys. A general rule to go by is the bigger the bird, the bigger the noise. An apartment building is not a smart idea for a macaw, and probably not even a grey.If you want one of these birds be prepared for the screaming. Both parrots are quite impressive in size. The macaw does have the size advantage. A macaw can be any size around 80 to 90 cm, depending on species. There are some smaller species of macaws, called mini-macaws, which are just about the same size of an African grey. Also, a macaw's tail is significantly larger, measuring up to 18 inches! An adult macaw is able to maintain its tail well with a daily shower. African greys, to most people, are just the perfect size. The tail is short and red, which doesn't pose as a problem. 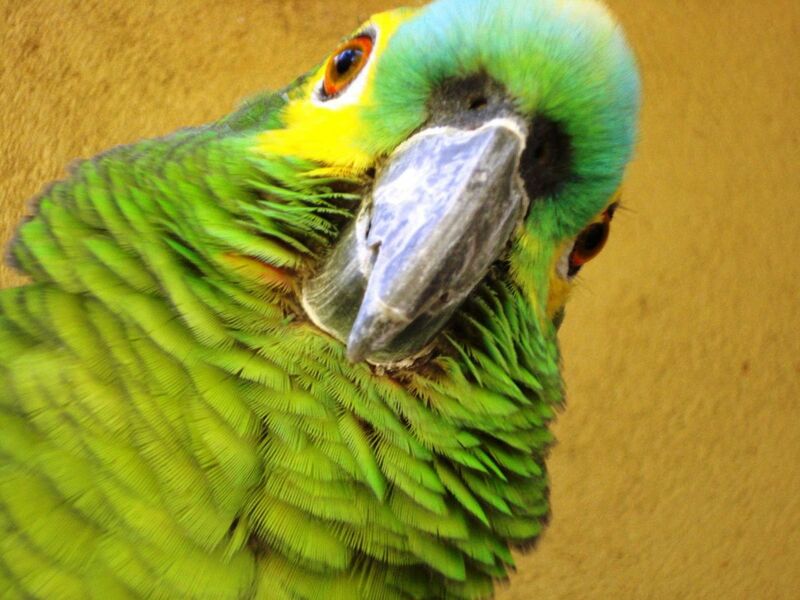 You can also get away with a smaller cage than a macaw, which could save money (if you are worried about spending too much money do not consider a parrot. Between toys, food, and accessories be prepared to dish out thousands over the bird's lifetime). This might be the most important topic out of the eight I have posted. Before I talk about my experiences, let me tell you any bird can be taught not to nip, bite, scratch, etc. It takes time and patience. 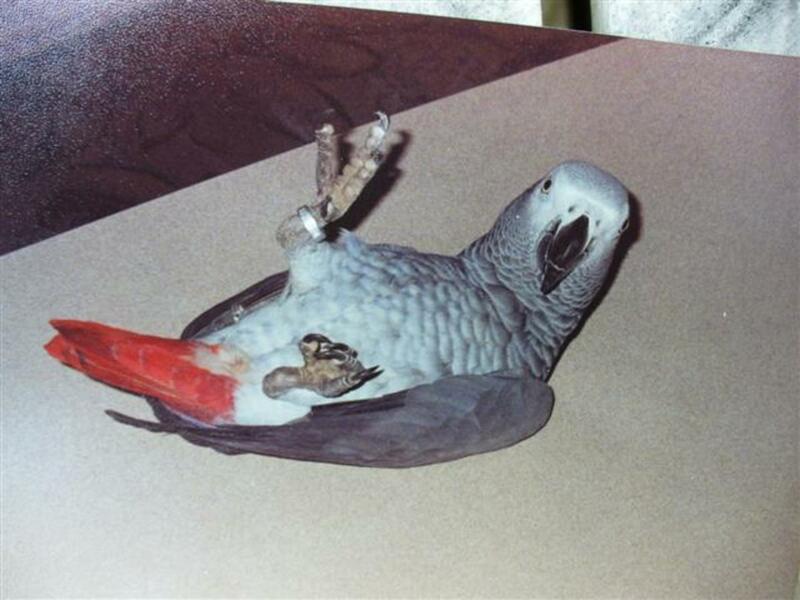 African greys are well-known to be nippy. They are also mildly temperamental, and do show signs of "a bad mood." Most of the time the owner will receive a little bite or a nip, rarely anything serious.Bubba only bit or nipped me when I tried to put him back in the cage for the day. A macaw usually is a gentle and friendly parrot. Although macaws, in their playful manner, tend to play too rough and could do some damage with that monstrous beak. I once heard a rumor that there was a YouTube video of a macaw snapping a broomstick, but I cannot confirm that because I could not find the video. I do know, however, that a macaw can pack a serious punch. A full grown hyacinth can put out over 200 pounds per inch2. Gracie and snap a walnut to pieces with one easy chomp. 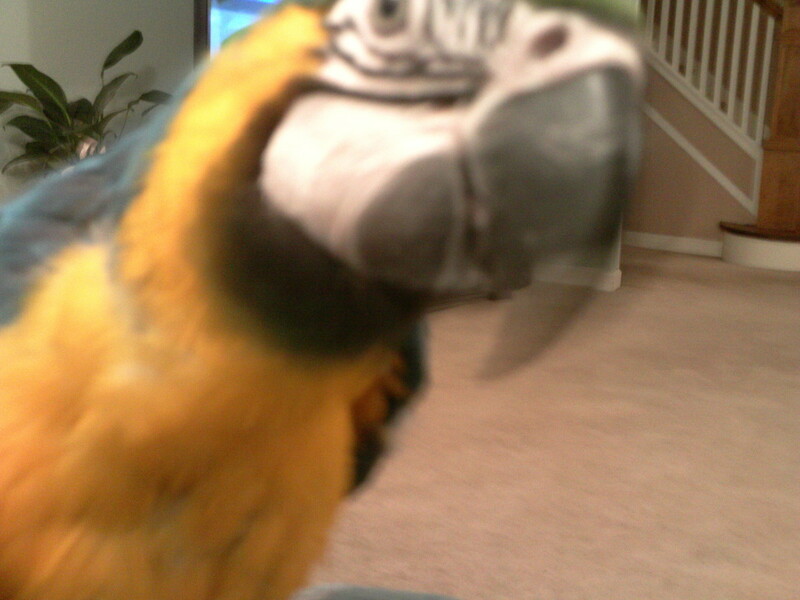 My macaw has never ever bit me because she was mad, only when she plays a little too rough. Either one you choose, be careful of that beak until he or she is properly trained! I hope I helped somewhat in your quest for knowledge of these wonderful animals. I did not include, however, other important facts such as breeding or health issues. So far I have been blessed with healthy birds and do not choose to breed them, so I am less-knowledgeable in those areas. I also did not post any specific diets for these birds, so be sure to check that out. I am open for questions and criticism, as there is always a window for learning! Be sure to comment and as I promised I will be posting videos and pictures of me with my birds/training sessions! God Bless! Which would you prefer to buy? Thanks for writing so clearly. I've not seen a video of a macaw splitting a broomstick, but I was using a broom to stave of the advances of an angry scarlet macaw, and he grabbed it and split the end easily. Honestly, a broom stick is what.. an inch, maybe 1.5 inches thick and it's not uber strong wood. A grown macaw can snap that with ease. My own BGM reduces 2x4 and 4x4 blocks to toothpicks in minutes. The big macaws: hyacinth, buffons, green wing, scarlet, blue and gold, and blue throated have beaks that *must* be respected... not feared, just respected. If the bird is inclined it can leave you needing stitches, or worse. All that said, all the blood that has been shed to parrots in our house has been to the little grey razorface herself... our african grey. I was looking to adopt a Blue Gold Macaw or African Grey parrot as a pet. I came across you site and it helped me in knowing both species better. I am a stay at home mom with two little daughters. Recenly we visited a relative who has a Blue Gold and we enjoyed playing with him...thus the decision to have our own. Haven't still decided which one I am going to have but I am hoping I can give them the love and care they need. Really good read, and I can see some people have got a new parrot pet! I hope it goes well for you guys. Just wanted to drop a line and let you know of a new site that we been working on to help people with Macaws, check it out and let us know what you think. So happy you love your new bird. Its a commitment that is so rewarding! Hi,i am a new owner of a blue and gold as we got him in august and me and my parner love him to pieces! He was wanted for a very long time by my boyfriend but i knew it wld be like a full time job and hate the idea of any bird being in a cage so always said i didn't want one but after a year of pursuading we went and had a look at some babys from a breeder and i fell in love with are little chuckles.He is such a joy but like i thought he is hard work and like a child but if you do your research you get to undersand why he does the things he does like calling for you when you leave without him that purly means he sees you as family and doesn't want to feel like you dont love him because in the wild they are never without there flock.he is sooo friendly with both me and my boyfreind as we share doing feeds and showers and playtime . He also always likes us together and likes to sit inbetween us and have a cuddle.i would say only get a parrot if he is going to be out for at least 6 hours so you get a real strong bond with them and read up on everything so you know your stuff and get a great big cage for when he sleeps and you go out.i wouldn't trade him for the world he is beyond a joy to have. Hi, Im 16 years old and im thinkin about buying a pair of macaws, i do have experience with bird (i have an african grey). but the problem is that when i go to collage i will not have the time for them (i might also go to study abroad) my parents can feed the birds and play with them a bit, my sisters also might spend time with them. and the cage im willing to put them in is really really massive (i will build not buy one) although im still concerned. If i bought a pair, will they need less attention since they are together? or it will just double the problem? Voted awesome. Someone that I knew took in rescued greys that had emotional problems. She also raised some babies from the egg, one of whom I got to meet. The bird just wanted to cuddle and was very sweet. I have owned a blue and gold for fifteen yrs, have had since he had no feathers, left him alone while i worked as a teacher and a sweeter parrot doesn't exist, he is funny and completely smart loving and cuddly,I would pick a macaw any day. As a gray owner you give good reasons to be either a gray owner or a macaw owner. I have never been bitten becouse my gray was mad either and i find that i prefer the grays company to my sons blue and gold becouse the gray is much calmer. I wouldn't..these birds need a high ammount of attention and time out of the cage. Unless someone else is around your house, I wouldn't.